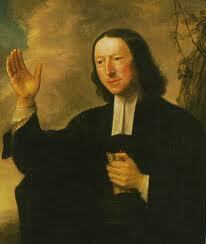 John Wesley always claimed that he didn’t enjoy controversy. However due to the opposition which Methodism, which he founded, generated he was often drawn into controversy. When he began to write his second letter to Bishop Lavington of Exeter, who had compared Methodists to Papists, he described his task with a sigh. “Heavy work, such as I should never choose; but sometimes it must be done. Well might the ancient say, ‘God made practical divinity necessary, the devil controversial. But it is necessary: we must “resist the devil,” or he will not “flee from us.”’ “Oh that I might dispute with no man !” he says on another occasion. 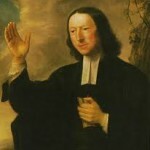 “But if I must dispute, let it be with men of sense.” Wesley’s controversial writings are brief and direct. The real issue is kept resolutely in view and not a word is wasted. Wesley was attacked from every quarter by men of all shades of thought, but his skill in argument and the strength of his cause often (but not always) made him victorious in these encounters. To his great credit, when he discovered errors of scholarship, he didn’t mention them in his reply, but sent a private letter to the writer. For this he received the special thanks of some of his most distinguished opponents.